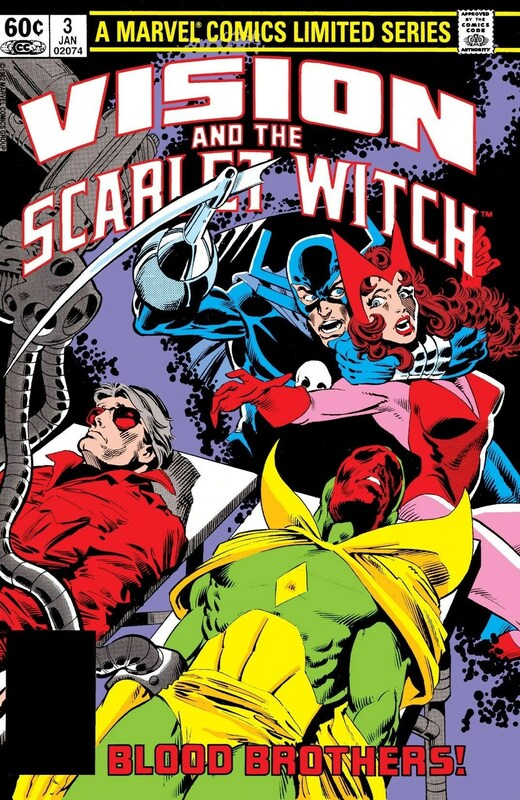 Here we are, at the end of the line for this wonderful Marvel mini-series from the 80s, starring my all time favorite married couple – Vision and the Scarlet Witch. And, it’s been a heck of a ride. Let’s check in on my favorite Marvel sweethearts and see what kind of family drama awaits the duo into this month. 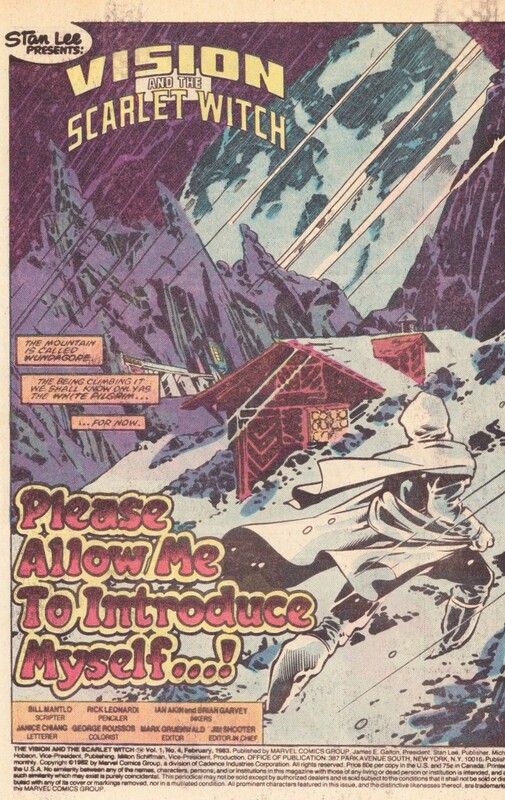 “Please Allow Me to Introduce Myself…!” opens with a mystery. A figure clad entirely in white climbs Mount Wundagore. The narrator is content to call him the “White Pilgrim” at the outset.